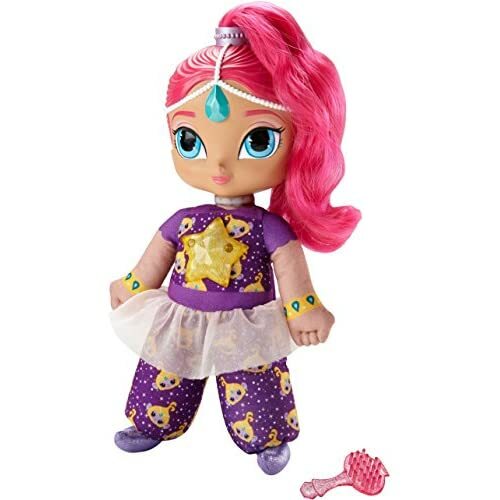 Shimmer and Shine, bedtime divine! 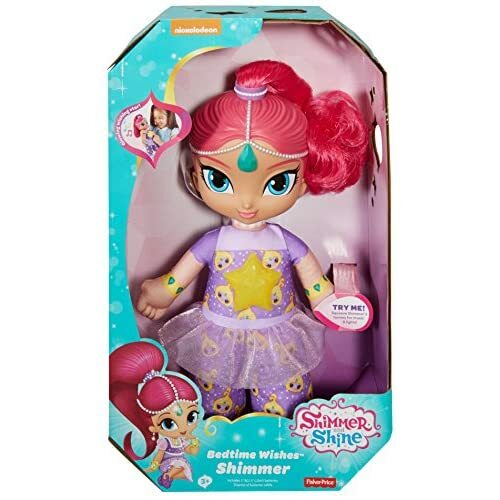 Sleepy little genies will love drifting off to dreamland with Bedtime Wishes Shimmer! 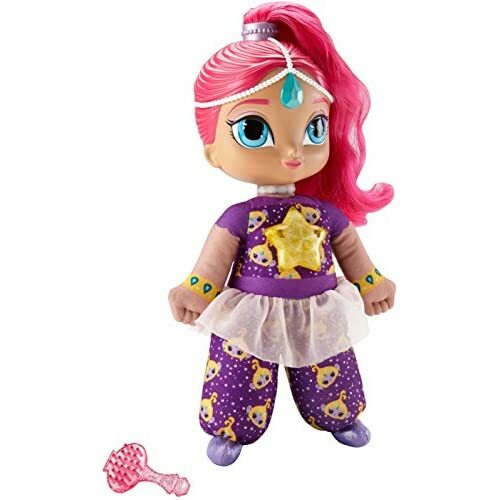 This dreamy genie features a soft, cuddly body and arrives ready for a genie sleepover in her purple printed pajamas (featuring her pet monkey, Tala, of course!) 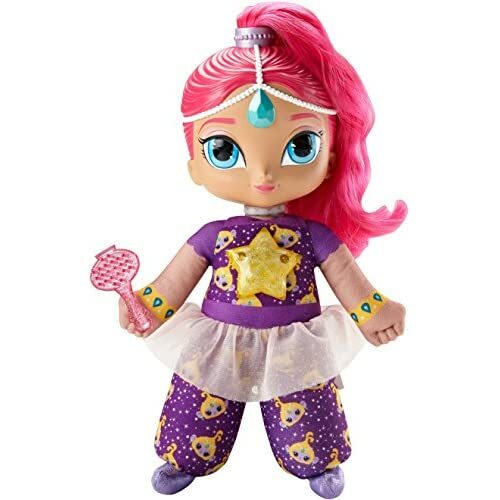 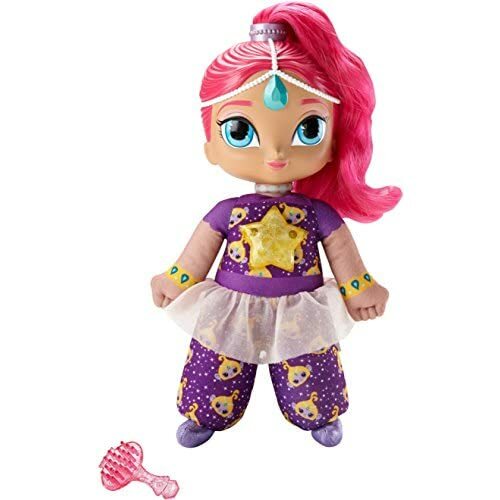 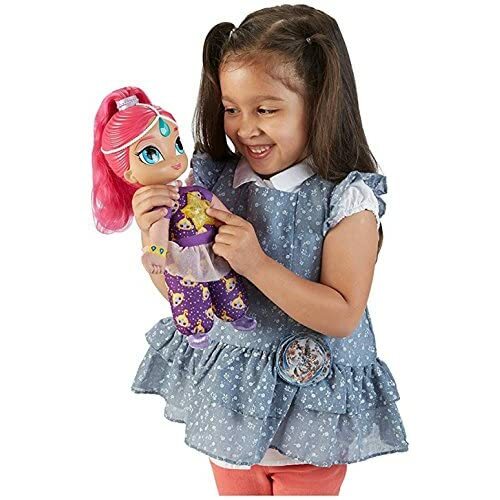 When little ones give Shimmer a squeeze the wishing star, on her pajamas will light up and she'll talk and sing a special bedtime song! 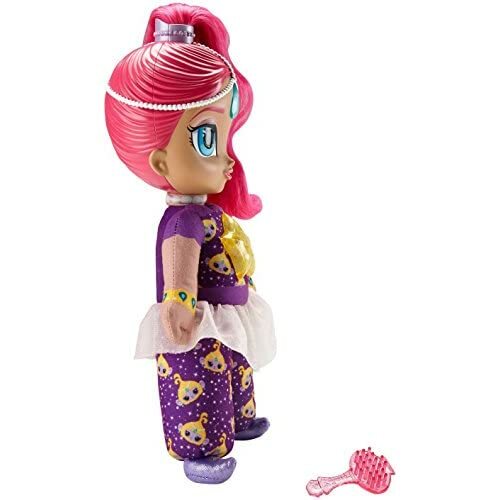 Shimmer's pretty pink ponytail can be styled with the included bottle-shaped brush!